All staff at ResQ Rent A Car are passionate about customer satisfaction. "Thank you very much. Your service and the car definitely met my expectations and exceeded them." "Best service I’ve received and will certainly use / recommend you to anyone I know." "Thanks - nice doing business with you. All the best!" 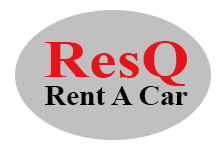 "Thank you very much, I had the best experience with ResQ Rent A Car as usual. Best wishes"
"Thank you so much. I am very happy. "Thank you guys.. Wonderful service.. Always a pleasure." "Thank you so much for the professional service that turned into a friendship. My 3 months of renting a vehicle from you has been a bliss, especially since you were ever so accommodating when I needed the out of ordinary services. I truly appreciate the great service and warm smiles... from the boss to the car checkers. You guys rock.God bless you guys"
"Fantastic Service, people and car!!!" "Thanks very much for excellent service! We'll certainly use you again for a local rental." "I have used their service twice and they have never disappointed me. Delivery to wherever I require, Long term rates and reliable cars. Will keep using them. Excellent service! Thanks!" "Absolute incredible service! The BEST rates in South Africa." "We have used the services of Res-Q Rent a car for the past 10 years, every time we visit South Africa. They have always supplied us with reliable cars for the duration of each of our visits. The management staff are always very helpful and friendly. I can happily recommend them to anyone who needs "wheels". In addition their charges are more favourable than any of the other larger car hire firms." "Always top service with a genuine smile. Flexibility, good rates, and responsive services. I never rent from anyone else in Joburg!" "It was a pleasure dealing with you and I shall certainly recommend ResQ to anyone traveling from Bristol to SA." "Thanks for your excellent service, the car was put to good use and your staff were friendly and remembered me from my previous rental (which was a nice touch)." "Thank you for the invoice and for your outstanding service. I am highly impressed with the punctuality, pricing and quality of your car rental service and have recommended you to a number of people should they ever require a car rental service." "Just a short message of appreciation of the high standard of service which you provided in both car hire arrangements. Everything went smoothly without any hitches and I will most certainly wish to use your services in future and not hesitate to recommend your firm to anyone." "Thank you for the adjustment and the quick service. I am now totally satisfied, finding you to be reliable and of great integrity. Be certain that I will be calling you next year when we repeat this trip to again conduct business. Blessings and Peace"
"Thank you so much for your excellent service. It was such a pleasure doing business with you and no doubt my brother recommended that I try your service. I have no regrets and hope you keep up the good work as I will also recommend u to others very close to my heart." "I was very impressed with your rental service and the two staff I had the pleasure of meeting. Also your quick processing of the invoice. I will be referring others to you." "And, again, I had a very, very, very good deal with you and your company. Everything was 100% correct and 200% friendly. Perfect guys who delivered my ---. I'll promote ResQ if possible. You may use my name --- as reference for future Dutch customers. They may contact me."